I have been wanting to get a better filter kit for my lenses – better than just the screw on round filters that I have been using. I want to be able to use the 100mm slide filters, as this offers an opportunity to use graduated filters and to stack filters. 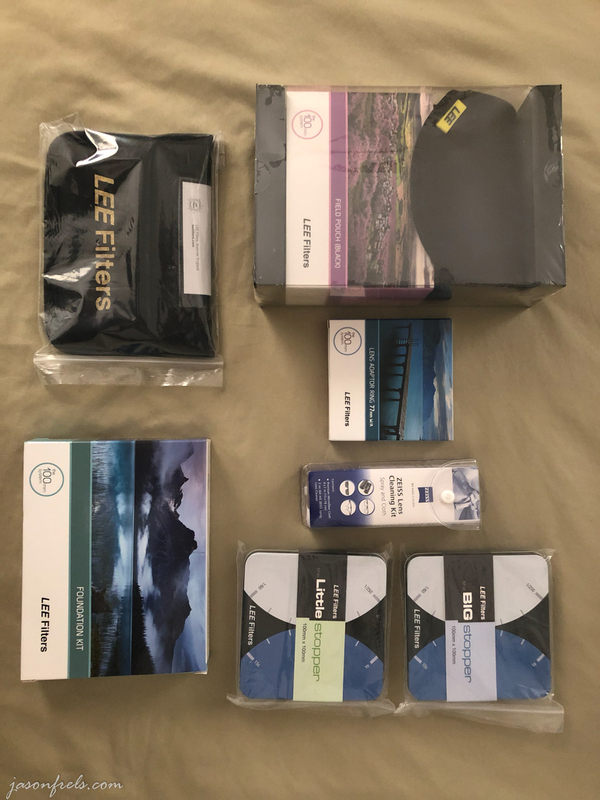 A YouTube landscape photographer that I follow named Tom Mackie recommends Lee brand filters, and he seems to know what he is talking about, so I planned on ordering a Lee filter kit. You can buy the individual pieces or there are several kits available that have various parts packaged together. This started out being confusing, trying to sort out and compare the value of the various kits vs. purchasing individual parts. I tried to break it down into what I wanted to accomplish so I didn’t waste money on equipment that I don’t need. There is a deluxe kit that is very expensive, but it has 3 grad filters, a 10-stop ND and the polarizer attachment. I decided against this mainly because it cost over $1000 with the 77mm adapter ring and I figured I could get the basic equipment that I needed and could eventually fill in the gaps with other filters later. I settled on a more basic kit and added a couple of parts to it that I wanted. The nice thing about the kit is that it already includes the step-down ring to a 77mm lens thread, which I would have had to purchase separately with the deluxe kit. But it did not include the polarizer and some of the filters that the deluxe kit included. I will probably buy the polarizer attachment at some point in the future. The pictures below show the kit removed from the packaging and installed on my lens. This kit allows you to stack up to three filters at once. The filters slide into the rails and are held firm by friction. The filter holder can rotate around so that you can choose any angle that you want. One filter that I have been eager to use is a graduated filter. This type of filter has filtering on half of the filter that tapers to no filtering on the other half. You might use this on a scene with a bright sky so that you can attempt to get a good exposure on the land and the sky. These come in variety of strengths and variety of abruptness of the transition. 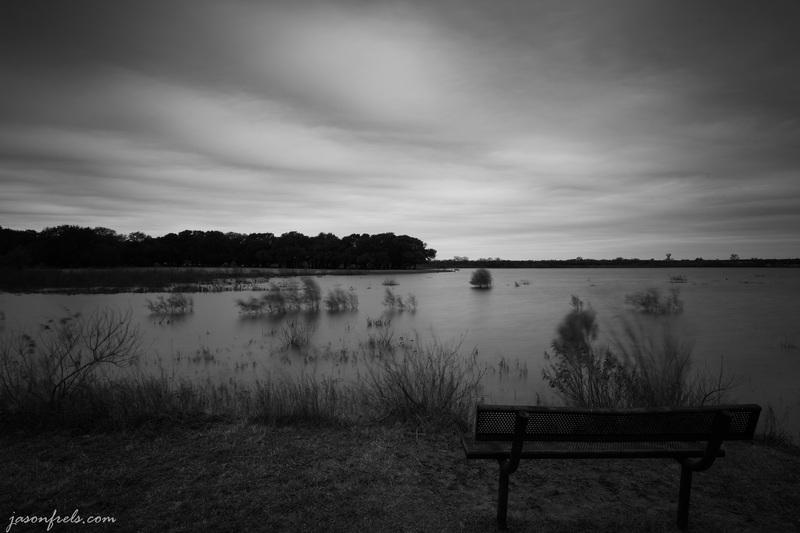 I decided on the medium graduated filter with 2 stops of attenuation on the filtered end. I may decide that I need a different transition or more or less filtering later. There are plenty of options. On Sunday I went to a nearby park to try this out. It was a gray, cloudy day so I don’t think that the photos are very exciting. But it did give me a chance to experiment with the filters. In the below photo you can see the filter kit attached to a 16-35mm, f/4 lens with the graduated filter installed. Lining up the graduation area using the view-finder or live-view was not very easy. It was difficult for me to find the transition. Below are two comparison photos. The first is taken with no filter and the second is taken with the graduated filter attenuating the sky. They were both processed identically in Lightroom. 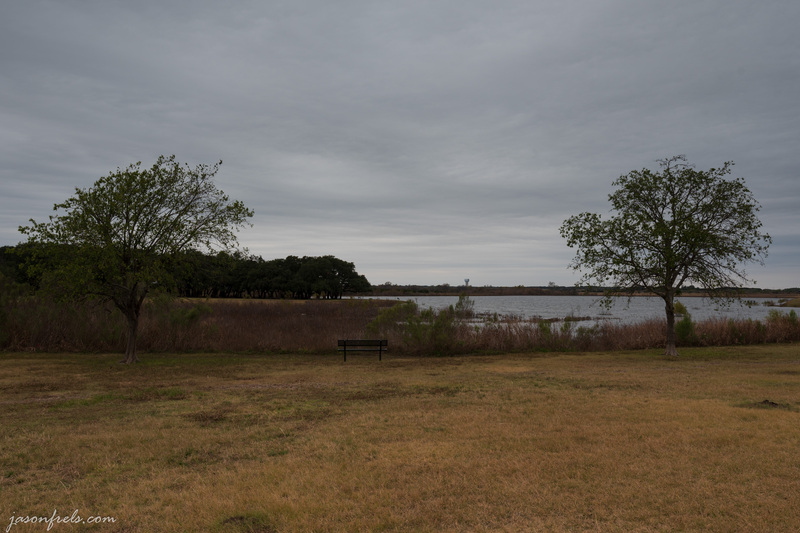 As you can see, in the second photo the camera was able to hold the shutter open more than twice as long and get a better exposure of the land without over-exposing the sky. I may have not had the filter lined up perfectly as it does seem to brighten up as you near the horizon. Also, you may notice a hint of vignetting in the second image. It gets worse with wider focal lengths. Sorry there is not a more interesting photo for this. I also got a couple of 100mm ND filters: a 10-stop and a 6-stop filter. I got down a little closer to the water to try out the 10-stop filter. The ND filters have a gasket material on one side which help block stray light from entering the lens. You can then stack a grad filter on top of this if you like. In the photos below is the water at the park without the ND filter in the first image and then with the 10-stop filter in the second image. The first thing that you might notice is that vignetting terribly at 16mm, which is really wide. The screw on ND filter that I have probably does a better job at such a wide focal length. I didn’t see vignetting this bad at longer focal lengths. This will take some getting used to. Once the filter holder is attached to the lens, these filters are much easier to use than the screw-on type. 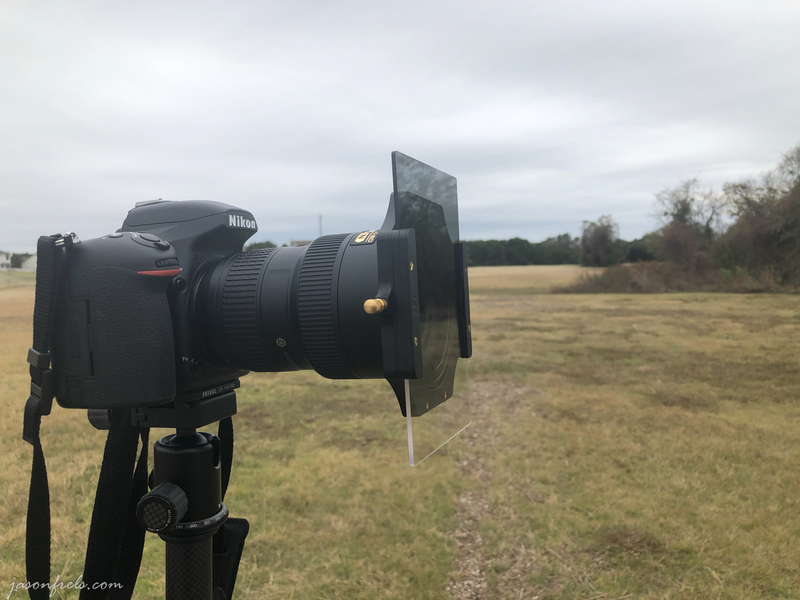 This is especially true when you need to compose and set focus and then put on an ND filter as sliding the filter in and out of the holder is quick and easy. I am also eager to put the graduated filter to use on some interesting landscape photos. So, I am happy with my purchase so far. And, if I get a lens with a different thread diameter, I just need a different step-up ring instead of buying a bunch of new screw-on filters. I also ordered a separate carrying pouch for the filters as they are quite delicate and I want to avoid scratching or breaking them. So far, the pouch looks like a good choice, though it is a bit big for my camera backpack. 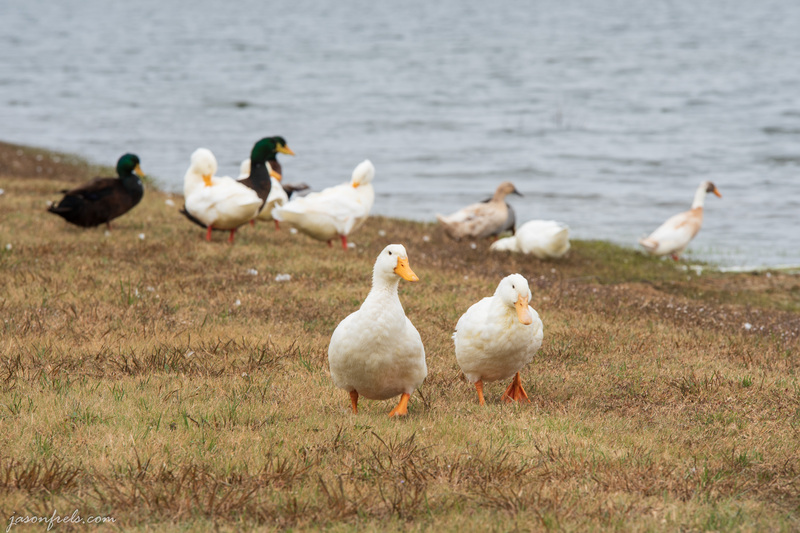 On an entirely unrelated topic, there were ducks at the park. They came rushing over to me to see if I had food. 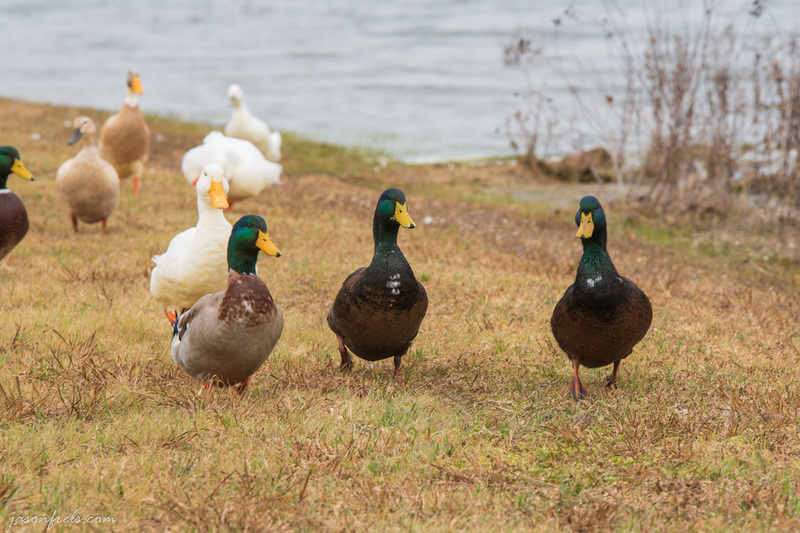 I shot these photos with a Sigma 70-200mm, f/2.8 lens. Thanks for reading and leave comments or questions below if you like. I knew that good photography takes an artistic eye, but never realized how much knowledge about settings and equipment it takes as well. You are talented in both areas! I appreciate your comment. I do tend to enjoy and focus on the technical aspects of photography. I have to force myself to concentrate on the more artistic aspects. Well, you do a very fine job of the artistic too! 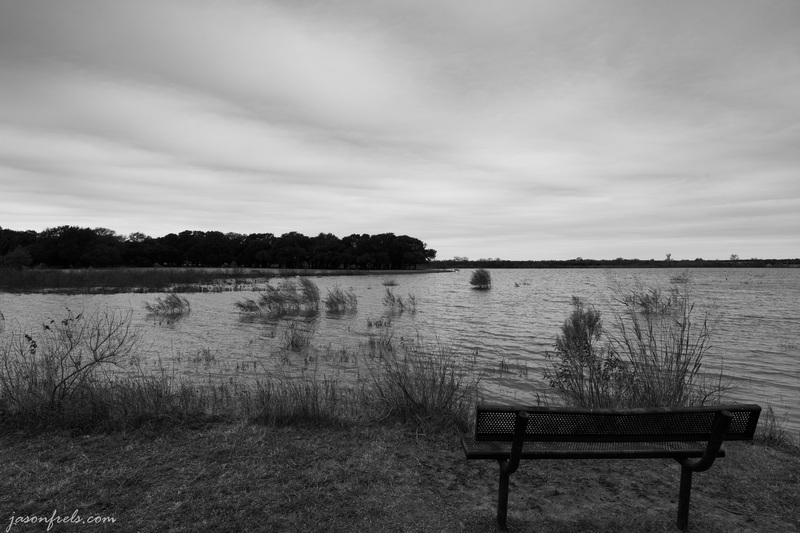 I like vignetting sometimes too. I just want it to be intentional. I did find that with the screw-on polarizer and filter that I got vignetting at very wide focal lengths as well. It is just a struggle with shooting wide I guess. I tested the water first since I don’t do much detailed landscape work. Cokin was the choice. I’m glad I did since I have a small few that I actually do use. Nice article and good ideas for people considering filters. Thanks.